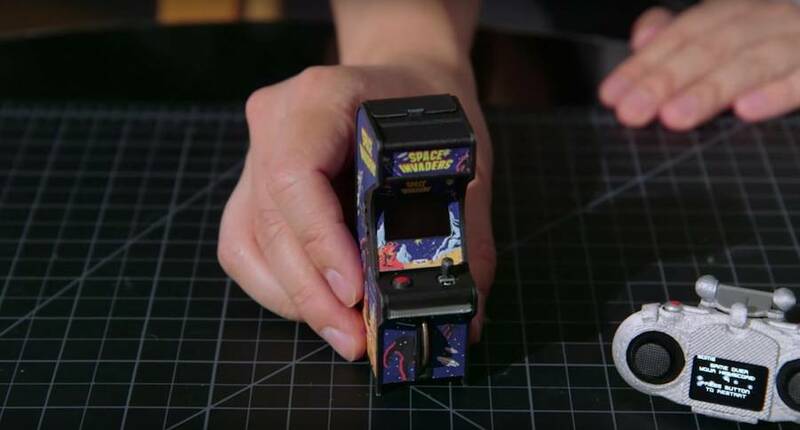 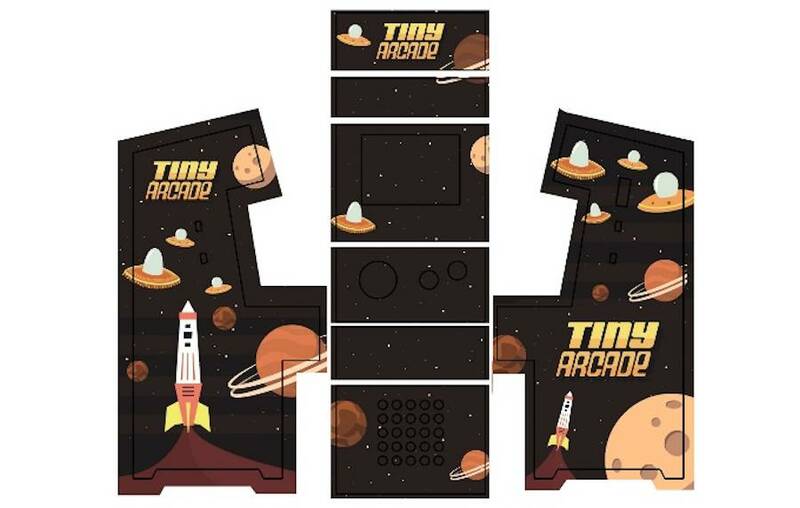 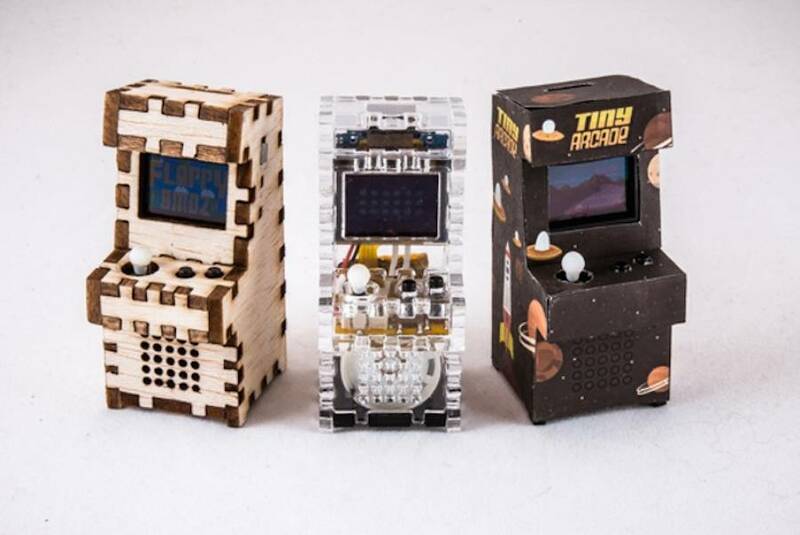 The Tiny Arcade is tiny retro arcade game imagined by TinyCircuits and launched on Kickstarter. 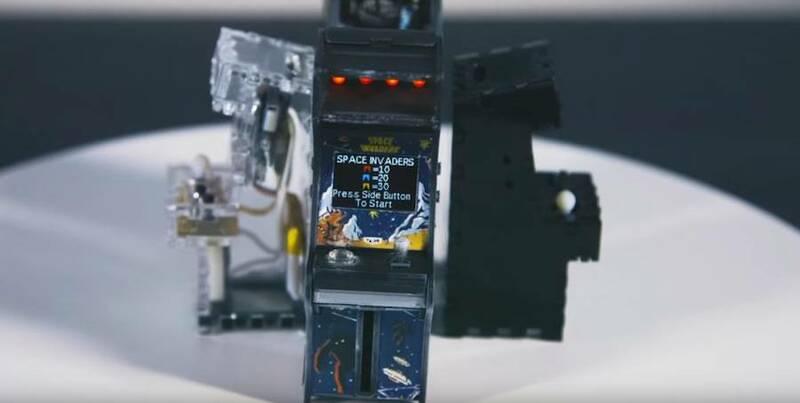 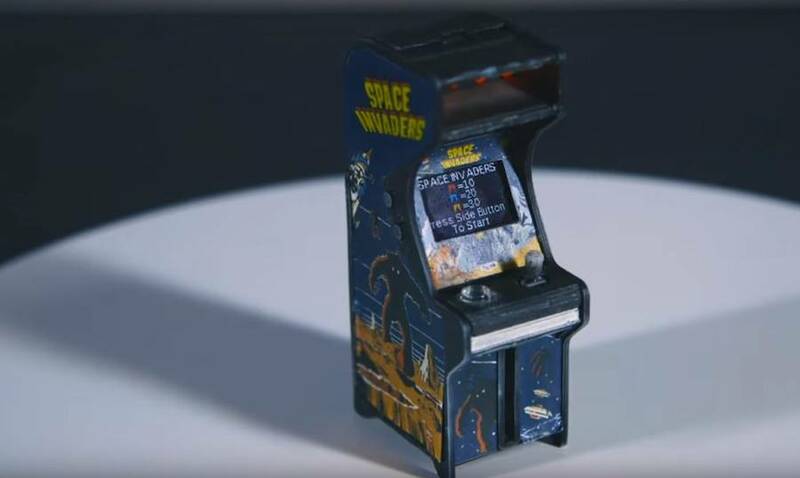 This studio, based in Ohio, wanted to reproduce the cabinet of the arcade game in a smaller scale, with a little joystick, tiny buttons, a USB rechargeable battery, a small 16bit screen and all your favourite games from the platform Arduino : from Outrun to Space Invaders. 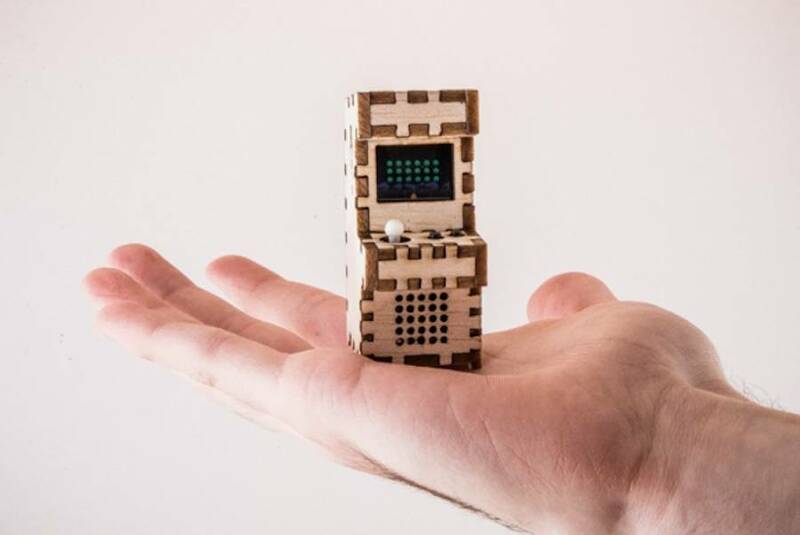 The goal was to be able to hold this object in the palm of your hand and build it at home.